To the uninitiated compliance with the WEEE Recycling directive can be confusing and at times tedious. The Office Clearance Company makes WEEE recycling and WEEE compliance a breeze! 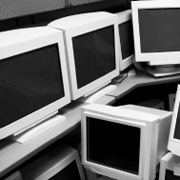 The ‘Waste Electrical and Electronic Equipment (WEEE) Directive’ became law in the UK in 2007. It covers the production, disposal and recycling of electrical equipment. It is designed to minimise the environmental impact of WEEE. As far as the waste management industry is concerned, this amounts to diverting as much as possible away from landfill through proper reuse and recycling initiatives, and ensuring that the remainder is separated from other categories of waste before being treated. Electrical equipment contains some very toxic substances, such as lead, mercury and brominated flame-retardants so it needs to be dealt with responsibly. What is your duty of care? All businesses are obliged under the WEEE directive to ensure that any WEEE from their business is disposed of using a licensed waste carrier (or transported to a licensed recycling facility using their own vehicles). The licensed waste carrier must supply you with a waste transfer notice, which both parties must sign, which broadly details the load. At this point your duty of care is passed on to the carrier. If you are getting rid of more than 200kg of WEEE you must register with the Environment Agency as a producer of WEEE (a simple online form with £18 registration fee – we can do this for you). 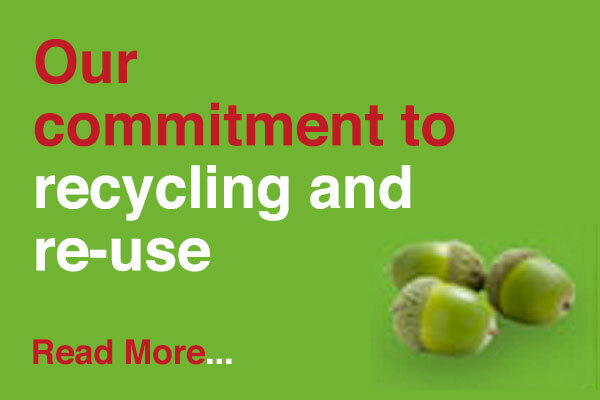 Our WEEE recycling service ensures that you completely adhere to all the legislation, and makes the process easy, affordable and hassle free.